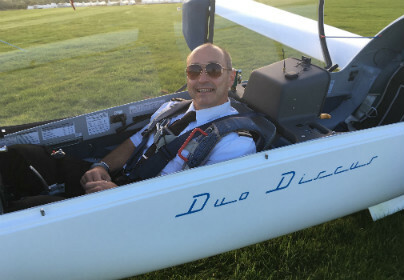 If you want a truly exciting and unique experience, then our glider flying lessons are ideal. Gliders are a very exceptional type of aircraft. Although they look very similar to an aeroplane, they have much longer wings and they do not have an engine. Your Glider lesson will start with a briefing with your pilot. This will also include a safety briefing and instruction of what to expect, you will then be shown to your glider. Once on board your instructor will then strap you in safely and you’ll be launched into the sky by either winch launch or aero tow method. You will reach speeds of 0-60mph in around 5 seconds. It is here that you enter a very steep climb that many find extremely thrilling and exciting. Once you reach the peak of the climb your glider will then straighten out and you will then smoothly and gracefully glide using the thermals in the air to keep you airborne. It is here that the instructor will demonstrate how to use the controls and you will then take over. Glider flying is a perfect way to enjoy a peaceful flight whilst admiring the breath taking views before you. 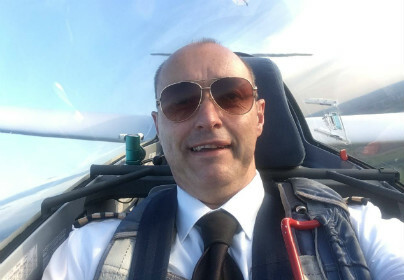 As there is no engine noise causing any disturbance, you are able to enjoy an uninterrupted conversation with your pilot where you will gain more knowledge and advice leaving you with a greater insight into the world of glider flying. 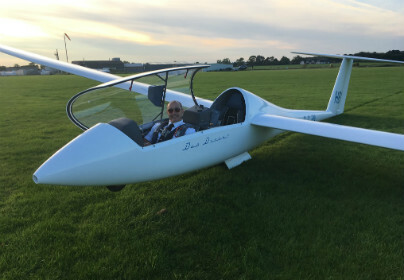 Glider lessons make a perfect gift or experience for anybody, especially if you are hoping to obtain your own private pilot’s licence this is because each 30 minutes or hour lessons count towards the 40+ hours you need to gain your PPLG. You can buy your vouchers for this experience and make a reservation at the same time or you can buy an open ended voucher which allows you to purchase this as a gift enabling the experience to be given and then booked at a later date. Majestic, silent, awesome - are all words to describe the beauty and fun experienced with a glider flight. Your glider will be hooked up to a tug aircraft or attached to a winch - ready for launch! Your instructor will pull the release handle and you are then gliding for real. Your instructor will demonstrate the controls before you take control and search around the skies for thermals to keep you up longer. This package gives you an Introduction to a Gliding Course and submerges you into the gliding world. The day will include briefings and flying instruction which will cover such areas that include airfield safety, effects of controls and primary gliding exercises.